Does your dental marketing strategy need a reset? Are you getting less-than-stellar results from paid ads and traditional marketing techniques? There’s a good reason you may not get the results you want from your current marketing methods. Today’s consumers go online first when they want to find out more about a product, service or company. They trust recommendations from their friends on social media more than blatant advertising. That means you need to provide content that earns the attention of potential patients rather than trusting to banner ads and other interruptive techniques to get the message across. The good news is that there’s a solution to the problem of reaching your most promising new patients. It’s called inbound marketing. Inbound marketing shifts the focus from promoting your practice with interruptive techniques to attracting patients to your website with targeted content. Using blog posts, videos, infographics, podcasts, e-books and other informative content, inbound marketing draws readers to your website by answering their questions or discussing topics of interest. Attract. Distribute relevant, useful content across social media channels, your blog and your e-newsletter to attract people to your website. Convert. Answer their questions and show them how your solution can solve their problems. Close. Help them make the decision to move forward by making the phone call or scheduling the appointment. Delight. Continue to provide relevant, useful content to existing patients so they will promote your practice to their network. Why Does It Work for Your Dental Marketing Strategy? Google loves content and so do your patients. The best way to be found online is to create and distribute content that people love to read. Ninety percent of millennials trust medical information they find on social media. Does that number stop you in your tracks? It should, because it reflects a change in the way people think about brands. Inbound marketing works for your dental marketing strategy because your patients want to find you. You just have to help them out. How Do You Use Inbound Methodology For Dental Marketing? Crafting a rewarding inbound marketing strategy is a lot like building a house. You can’t start with window treatments and counter tops. You need a strong foundation, structure and floor plan first. Then you can go crazy with the décor. Your website should be an attractive, informative resource for patients. It should deliver a positive experience while also giving visitors the information they need about your location, hours, appointments and health topics. This is the foundation for your inbound strategy. All of your content efforts will ultimately drive readers to your website where you’ll ask them to take a specific action. Search engine optimization (SEO) builds on your website foundation with technical structure and keyword strategies designed to help people find you online. Without SEO, Google doesn’t know you exist and neither will anyone else. Local SEO is especially important for getting patients in the door of your practice. Now that you have an engaging website and strong SEO presence, it’s time to start generating content. Your blog gives that content a home and serves as a launching point for getting it out to current and potential patients. It also gives Google more pages to index which increases your chances of ranking well. The final step is to distribute your content to the right people. That’s where social media comes in. You can knock it out of the park with steps one, two and three, but if you don’t distribute your content, you still won’t see any traffic. Social media puts your content in front of the right eyes and gives your followers a chance to share that content with their friends. And that means you’re reaching a much broader audience than just your own network. 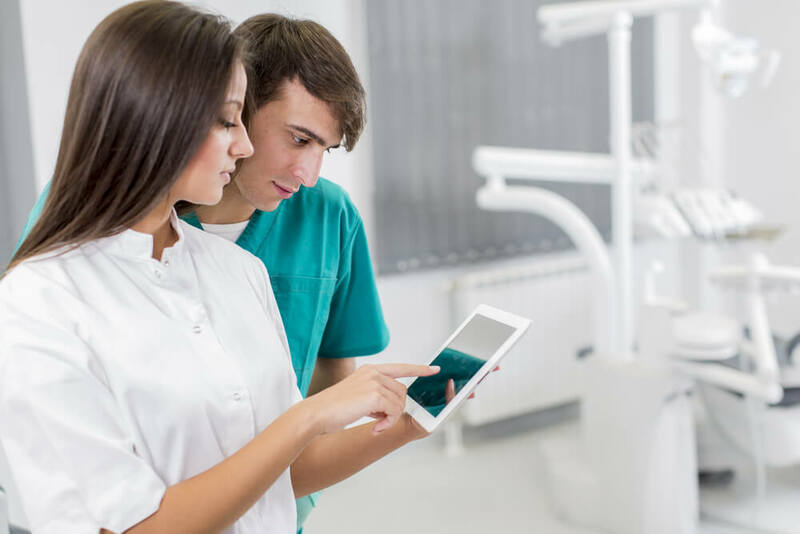 If your dental marketing strategy needs an overhaul, inbound marketing holds the key to reaching more people online and converting them to patients. Our healthcare marketing experts are standing by to help you design a strategy that works for your practice.